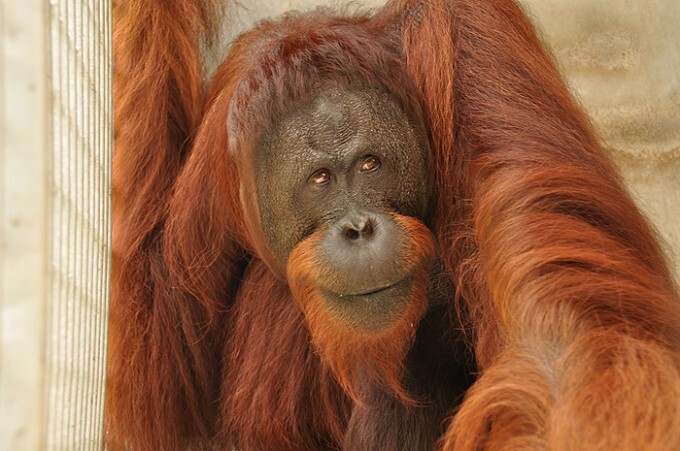 26 Nov 2013 - The Bukit Batikap Conservation Forest will soon be welcoming 17 more rehabilitated orangutans from the BOS Nyaru Menteng Orangutan Center. These lucky orangutans will finally be reintroduced into their true home, the forest. Illegally held in captivity in Jakarta, Shelli was confiscated by the local authorities and sent back to Central Kalimantan on May 30, 2001. At that time, this female orangutan was only eight years old. Because she had been kept for quite a long time by humans, Shelli had lost most of her natural skills and was very dependent on her babysitters in Nyaru Menteng. Shelli joined the Forest School along with her peers to regain her survival skills to live in the wild. She continued her education on Kaja Island after graduating from the Forest School on May 19, 2003. Shelli loves to explore the island and has made many friends there. Our technicians often see her playing in the trees with male orangutans. Now this dark red haired orangutan has reached 20 years of age and weighs 30.6 kg. 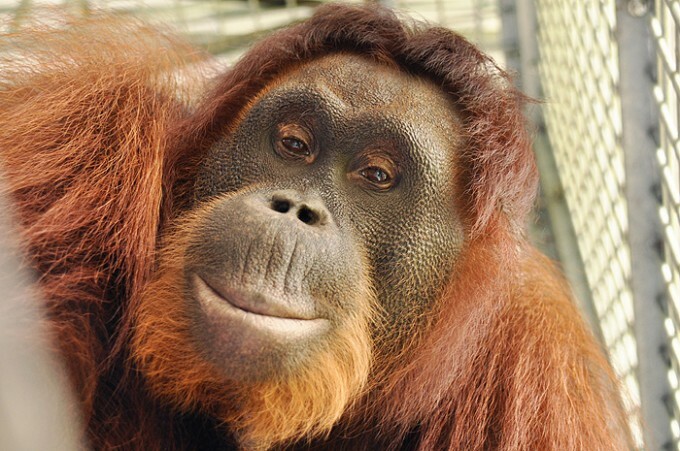 Shelli has grown into an independent adult orangutan. She has given birth to two children and taken care of them both on Kaja Island. 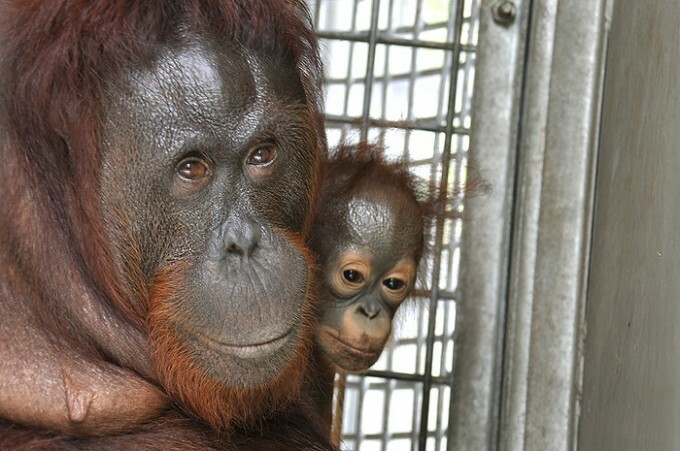 Soon, Shelli and her youngest daughter Forest will enjoy their true freedom in the Bukit Batikap Conservation Forest. Forest is Shelli’s second infant who was born on Kaja Island on June 11, 2010. Born and raised on the island and Forest has received life-long lessons from her mother and is fast growing into a wild and independent orangutan with the skills needed to survive in the forest. This young orangutan is now three years old and weighs 5.4 kg. Despite still being under the care of her mother, little Forest has started to show her agility in playing between the branches. 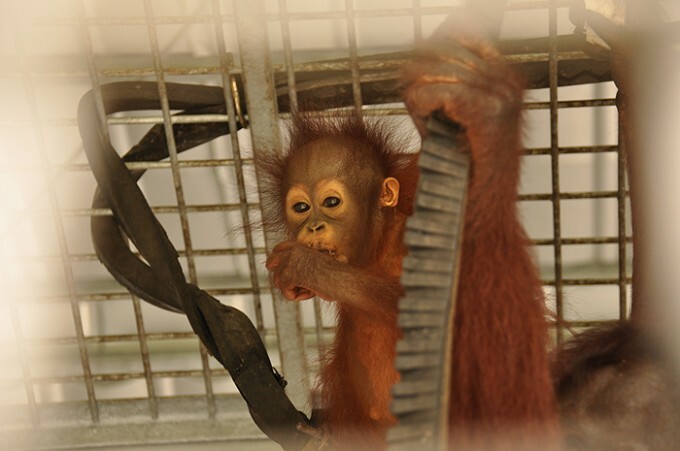 Soon, Forest will live with her mother and play in the real forest of Bukit Batikap Conservation Forest. Inung was confiscated by the Central Kalimantan Conservation and Natural Resources Authority (BKSDA) in the Kapuas Regency. 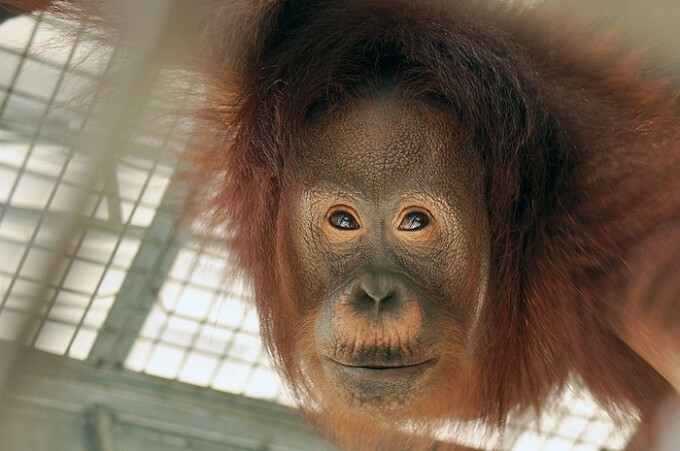 This female orangutan arrived in Nyaru Menteng on April 3, 2000. She was only two years old and weighed 13 kg. The beautiful Inung has long curly and thick hair, and soft attitude. In November 2002, together with some other teenage orangutans, Inung was moved to live on Kaja Island to undergo the last stage of the rehabilitation process. Inung adapted quickly to her new life on the Island and grew fond of exploring to forage for food. She also made many friends on the Island. She is a good friend of dominant male orangutans Didik and Pedro. 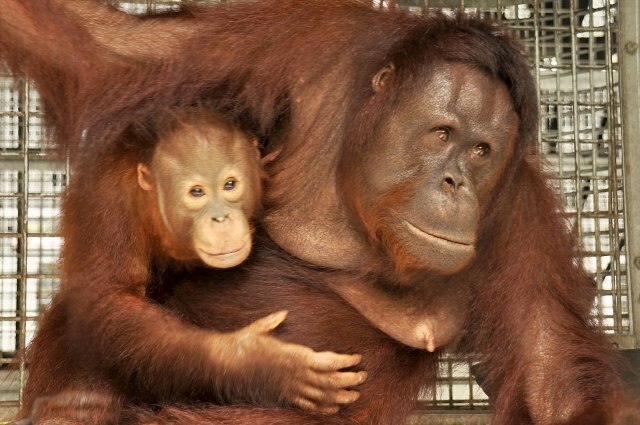 During her 13 years in Nyaru Menteng, Inung has given birth to two babies who are both females. Now 15 years of age and weighing 31.2 kg, Inung and her daughters Indah and Ina will soon enjoy her new forever home in the Bukit Batikap Conservation Forest. Ina is Inung’s second child who was born on July 13, 2012 on Kaja Island. The one year old little girl is still always holding tight to her mother and is safe under her care. Born and raised on the Island, Ina receives life-long lessons directly from her mother, which enables Ina to live and behave as a wild young orangutan. In addition to learning from her mother, Ina also learns from her elder sister Indah, who is now six years old. Ina has the ability to quickly adapt to her new environment and dislikes the presence of humans. Soon Ina and her mother and sister will enjoy beautiful days living freely in their true home in Bukit Batikap Conservation Forest. Indah, Ina’ elder sister, was born on Kaja Island on June 2, 2007. Inung’s first born behaves and lives as a wild orangutan, thanks to her mother’s direct guidance. Indah is skilled in surviving in the forest with her excellent abilities in building nests, choosing natural foods, and recognising predators. Every day as dusk approaches, Indah builds her own nest and sleeps separately from her mother. 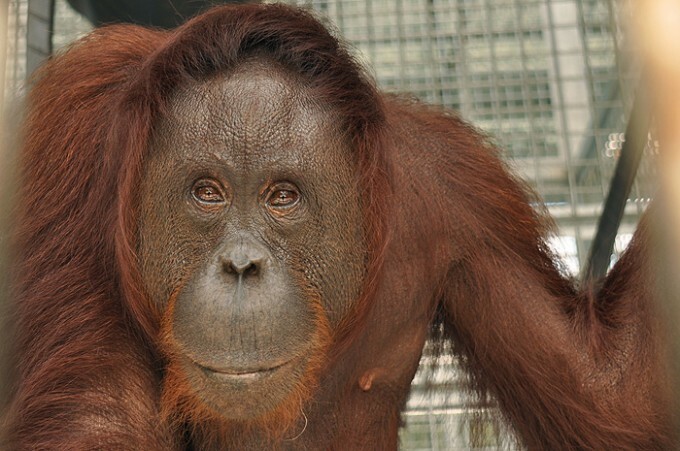 Indah has also grown into an independent orangutan and dislikes the presence of humans. She is now six years old and weighs 11.6 kg, and is ready to go home to the real forest with her mother and baby sister to prove her ability as a true wild orangutan. Cindy arrived in Nyaru Menteng on May 6, 2000, when she was around five years old, after being confiscated from resident in Palangka Raya. She still retained her wild behaviour so after completing a standard quarantine phase, Cindy was placed on Kaja Island. She is a great island explorer and very skilled in choosing her natural foods. Living for 13 years in Nyaru Menteng, Cindy has delivered two children, Cilik and Riwut, both on Kaja Island. She is now 18 years old and weighs 42 kg, and soon, Cindy and her children will enjoy the happy moments when they are finally back in their true home in Bukit Batikap Conservation Forest. Riwut, Cindy’s second child was born on November 12, 2012 on Kaja Island. At the moment, this tiny young orangutan is still tightly holding on to her mother. Born and raised on the island, receiving guidance from her mother and also learning from her elder sibling Cilik, Riwut will be an independent wild orangutan in the future. Riwut is now one year old and weighs 2 kg. She is counting the days until together with her small family she will be back in their true home in the Bukit Batikap Conservation Forest and continue learning. Cilik, is Riwut’s elder brother, who was born on Kaja Island on January 22, 2007. 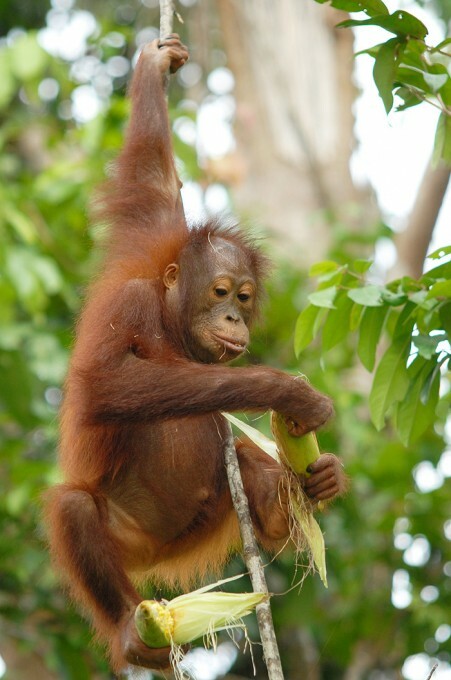 This young male orangutan has already learned skills in recognising natural foods and building nests. Cilik goes about doing his activities by himself but generally stays not too far from his mother. He is very active and his agility in the trees is admirable. 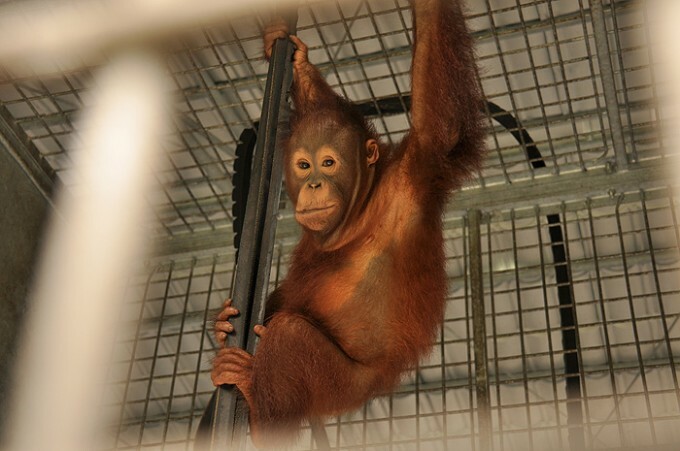 Now six years old and weighing 25.3 kg, Cilik who has thin bright red hair will soon enjoy his true freedom in the Bukit Batikap Conservation Forest with his mother and sister. Mandra was confiscated by the Central Kalimantan BKSDA from a resident in Kasongan, Katingan Regency, who illegally kept her as a pet. On March 8, 2000, Mandra arrived at Nyaru Menteng at the age of around two years old and weighing 5 kg. 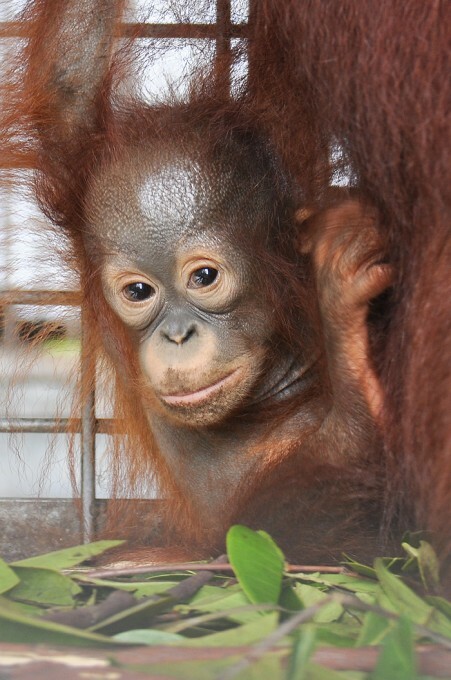 After a quarantine phase, little Mandra joined her peer orangutans in Nursery Group. That was when she first met her best friend Komo. Having graduated from the Forest School, Mandra continued his learning process on Palas Island. Despite not being a dominant female orangutan, Mandra is active, independent, and highly curious. Together with her best friend Komo, Mandra loves exploring Palas Island and foraging. Mandra is now 15 years old, weighs 41.7 kg and has been living in Nyaru Menteng for 13 years. Soon Mandra and Komo will enjoy their days together in the Bukit Batikap Conservation Forest, their true home. 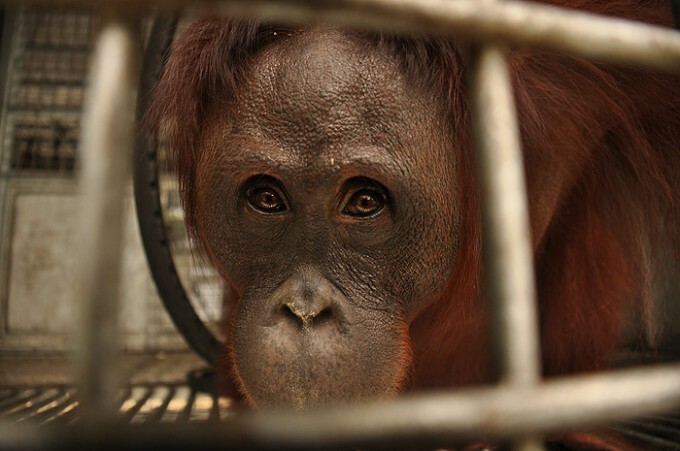 Nopi was kept illegally as a pet by a resident of Jakarta. He was confiscated by BKSDA and arrived at Nyaru Menteng on May 30, 2001. She was eight years old and weighed 30 kg. While living on Kaja Island, Nopi was a quiet orangutan but she could easily make friends with other orangutans. Her skills to survive in the wild have flourished after 12 years living in Nyaru Menteng. She is now 20 years old and weighs 56.8 kg. This beauty who has an oval face and dark red hair has given birth to two children, Zona and Nicky. 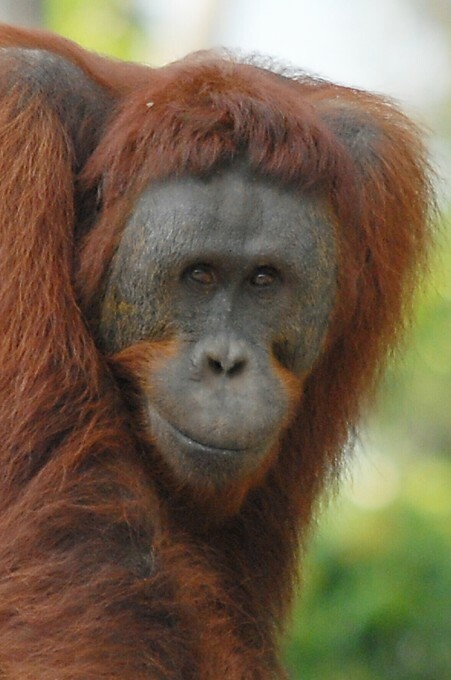 Soon Nopi and both her children will go home to their true home in the Bukit Batikap Conservation Forest. Little Nicky is Nopi’s second child who was born on Kaja Island in March 2010. Now only three years old, he is still under the care of his mother. Born and raised on the island by his own mother enables him to grow into a young wild orangutan. Nicky also learns alot from his elder sister, Zona, who now at the age of nine is living independently on the island. Nicky is very agile in the trees and dislikes the presence of humans. His independence will keep growing and developing after he starts his new life in his true home in the Bukit Batikap Conservation Forest, together with his mother and sister. In October 2004, Zona was born on Kaja Island. Nopi, her mother, took care of her with so much love and taught her all the survival skills needed to live in the wild. Unsurprisingly, Zona has grown into an independent wild orangutan and can conveniently explore the island. Zona is very skilled in building nest and choosing natural foods. She also doesn’t enjoy the presence of humans and will kiss-squeak to show her displeasure. Now nine years old and weighing 22.4 kg, this beautiful orangutan with thick hair will soon go to her true home in the Bukit Batikap Conservation Forest. We’re sure she will confidently conquer the canopy! 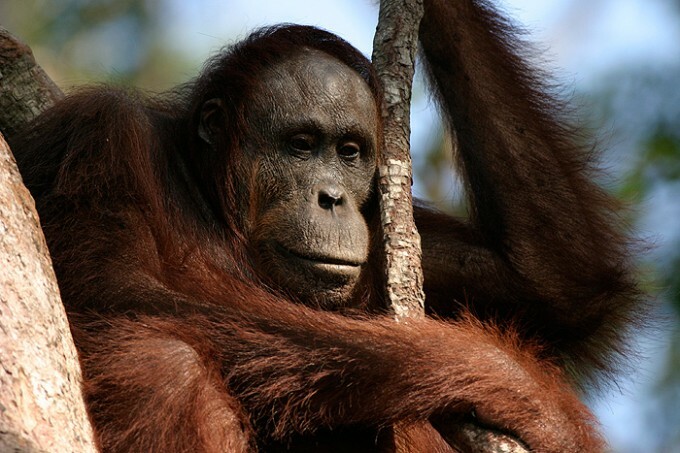 The beauty with thick light brown hair was the main star of the Animal Planet documentary series Orangutan Island, together with Hamlet, Chacha, Cantik, Bonita, and Komo. She was confiscated by the East Java BKSDA authorities from a resident in Surabaya who kept her as a pet. Arriving in Nyaru Menteng on November 27, 2002, Daisy was only one year old and weighed 10.5 kg. December 13, 2006, she started the pre-release stage on Palas Island. A skilled island explorer, she is also an expert in foraging for natural foods. Daisy is also great in building nests, in which she has a unique habit. She will leave her nest and build a new one whenever she is woken up at night, maybe because she feels her nest is not comfortable enough. Daisy is now 14 years old and weighs 52.4 kg. Looking at her outstanding survival skills, she now receives the chance to prove her independence in her true home in the Bukit Batikap Conservation Forest. We look forward to updating those who have watched the Animal Planet series with all Daisy’s progress! Bertha arrived in Nyaru Menteng on September 26, 2002 when she was only five years old and weighed 17 kg. The female orangutan was confiscated by BKSDA from a resident of Palangka Raya. There was a visible wound on her neck from the chain that used to bind her and she had also lost the nails on both her big toes. Graduated from the Forest School, this female orangutan with thick and long bright brown hair continued her learning process into the pre-release stage on Palas Island. Bertha is very active and skilled in looking for natural foods on the island such as fruit and termites. 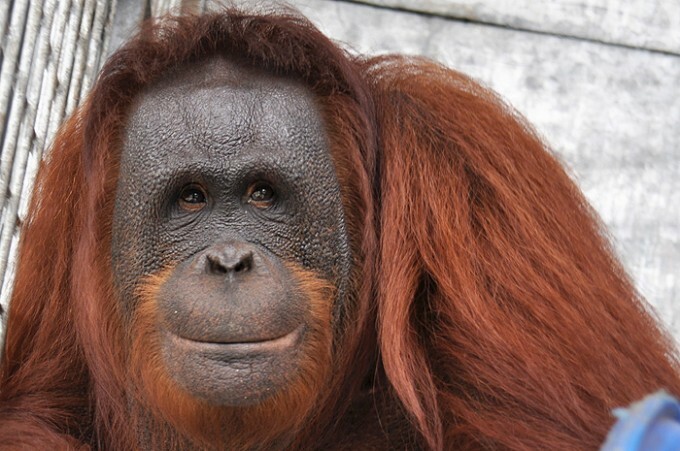 She is also very friendly with other orangutans but dislikes the presence of humans. She will kiss-squeak and throw branches from the tree to show her displeasure. Assessing her independence skills, Bertha who is now 16 years and weighs 48.5 kg is ready to go back to her true home in Central Kalimantan, in the Bukit Batikap Conservation Forest. 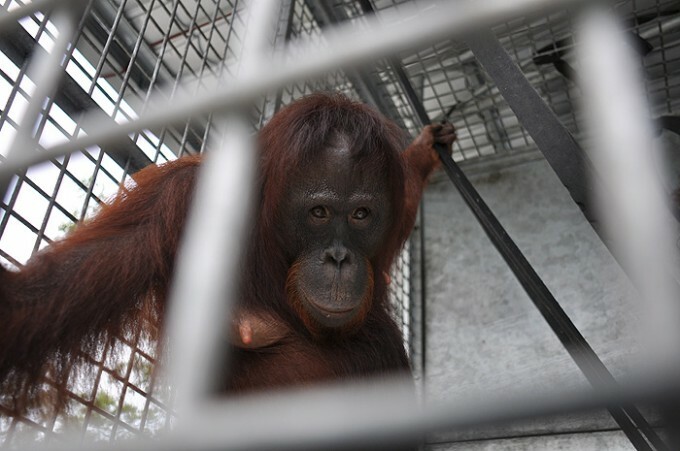 This female orangutan was confiscated by BKSDA in Jakarta and arrived at Nyaru Menteng on May 30, 2001. She was only 7 years old. There was a wound circling her neck from a long period of being chained or tied by a rope. She suffered from severe diarrhea and also refused to eat and drink which caused dehydration. Lolin was placed on Bangamat Island in 2004, and subsequently moved to Hampapak Island. In 2012, on Hampapak Island, Lolin once floated away on big wood logs in the Rungan River. 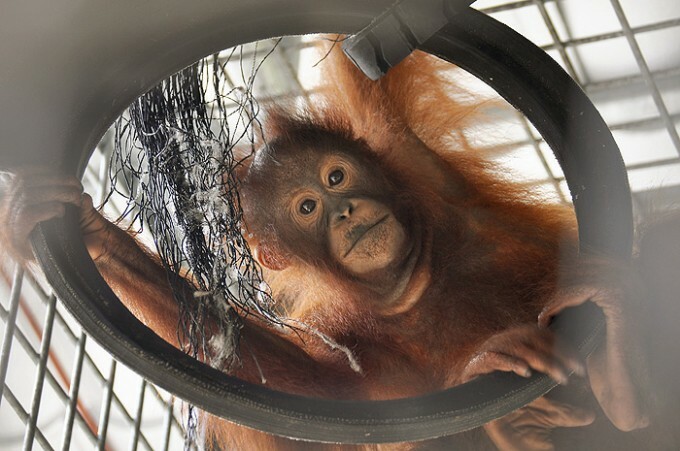 Fortunately, she was rescued by technicians Azis and Nabri who were bringing fruit for the orangutans on Hampapak Island and coincidentally saw her. On the Island, Lolin is an active and independent orangutan. She is skilled in making nests and choosing natural foods. Now at 19 years old and weighing 26 kg, Lolin is ready to go home to the lush Bukit Batikap Conservation Forest. 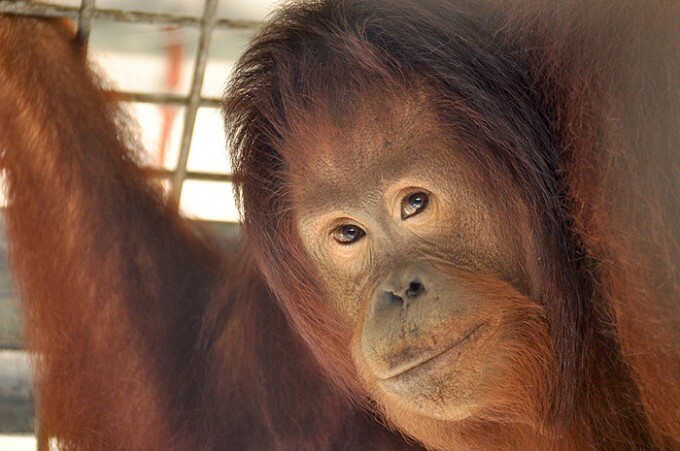 Komo arrived at Nyaru Menteng on April 3, 2000, when he was only two years old. He was handed over by a resident of the Kapuas Regency. Komo was highly dependent on humans because he was kept by humans as a pet. Therefore, he joined the Forest School to regain his natural abilities. And just like Daisy, Komo was also a major star of the Orangutan Island documentary series. Komo has been best friends with Mandra since Nursery Group and Forest School. Even until their pre-release stage on Palas Island, these two best friends are always together. Despite not being a dominant male orangutan, Komo is a brave one. 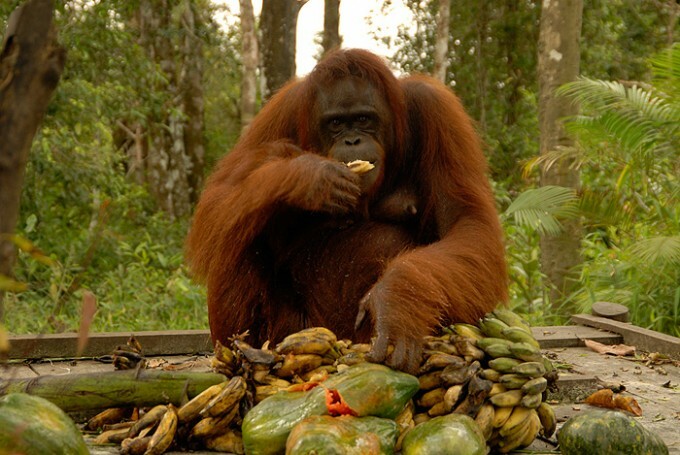 Komo would not hesitate to compete with other orangutans to grab the fruit which fall and float by the river. Komo is now an independent orangutan. He no longer enjoys the presence of humans. He is 15 years old and weighs 38.5 kg. His short dark brown hair and dark face make him look dashing. Soon, Komo will be able to enjoy and explore Bukit Batikap Conservation Forest with his best friend Mandra. Boy was confiscated by the Central Kalimantan BKSDA from a resident in Pagatan village, Katingan Regency, who kept him illegally as a pet. He arrived at Nyaru Menteng on October 31, 2002 when he was only six years old and weighed only 13 kg. Graduated from the Forest School, Boy then continued his rehabilitation process on Palas Island in 2004. Boy is an expert island explorer and highly skilled in finding natural foods. He can also easily befriend other orangutans. He is good friends with two male orangutans Mego and Samba. Now, Boy is 17 years old and weighs 55.2 kg. His cheekpads have started growing and with his long dark brown hair, he looks very handsome. After 11 years in Nyaru Menteng and having regained his natural abilities, Boy is ready to explore the lush Bukit Batikap Conservation Forest.